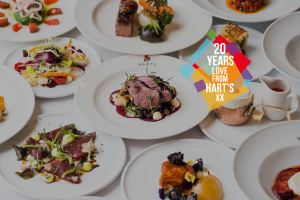 Hart’s Hotel and Restaurant is one of the most highly regarded hotels in Nottingham having been awarded AA Four Stars at the Silver level with a commendable merit. The whole team works hard to ensure that every guest has the best possible stay at the hotel. 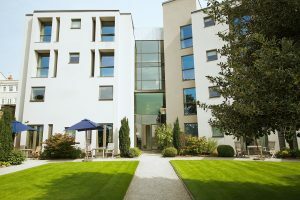 What makes a stay at Hart’s Hotel unique? The hotel is renowned for its impeccable service and attention to detail. Offering an effortless arrival experience sets the tone of a spectacular visit. Meticulous and discreet personal service is flawlessly delivered by carefully noting and recalling guests preferences from preceding visits and assisting with parking and luggage if required. Guests will love the personalised service in the Park Bar, this is the perfect place to relax during your stay to enjoy a fine selection of drinks and snacks with a professional service. With original artwork adorning the walls, high backed sofas and red leather armchairs, it is a haven of secluded sophistication within Nottingham’s bustling city. 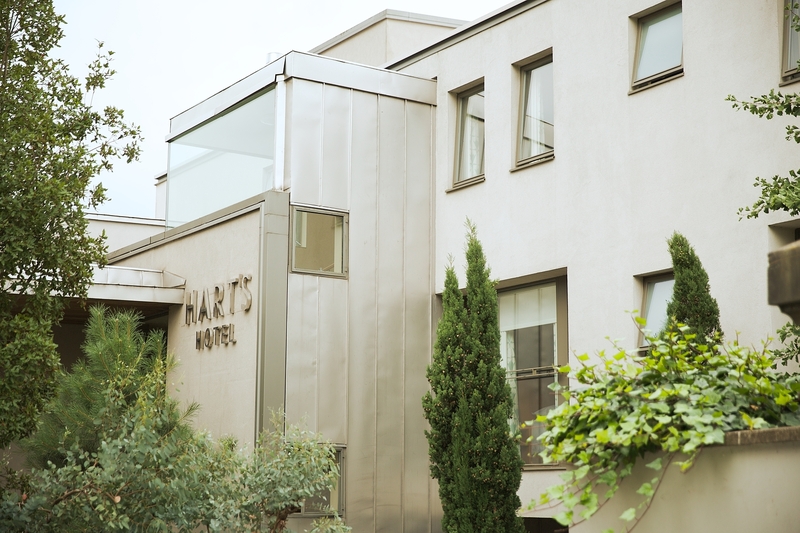 What are the room and facilities on offer at Hart’s Hotel? Hart’s modern en-suite bedrooms are of the highest standards. Whether your stay is for business or pleasure, you can be assured a friendly welcome and your stay at Hart’s Nottingham will leave you eager to return. With 32 boutique bedrooms, 2 suites and 1 family room which are all en-suite with 24 hour room service. Furnished to the highest standard, the light airy rooms are both contemporary and comfortable. 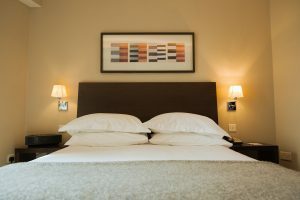 Top quality beds are equipped with goose down pillows and duvets and cotton bed linen. Minibars are well stocked with quality wines and ales, as well as fresh milk for guests who wish to make themselves tea or cafetière coffee. We have a 2AA Rosette restaurant and feature in the Michelin Guide 2018 and The Good Food Guide 2019. Hart’s is proud to offer a professional blend of skilled service and modern British cooking in a stylish and comfortable interior with emphasis on simple but fantastic, fresh ingredients. Head chef Dan Burridge uses top quality ingredients, often locally sourced in simple striking combinations. Our main menu is our A La Carte and we also offer a set menu at lunch and dinner with a pre theatre option. Our Sunday Lunch has a great reputation in Nottingham and if you haven’t tried our Afternoon Tea we certainly recommend you give it a try! What can guests enjoy when staying in Nottingham? Whether it’s shopping, sport or the legendary night-life you are looking for, Nottingham has them all – and of course Robin Hood. But the city also has a fantastic history and plenty of evidence of that remains. Add to that a rich cultural and heritage offering, then there are few better places for a couple of days away. The city also has a cultural life which belies its size. From a concert hall promoting top-drawer international orchestras through to a packed schedule of cutting-edge comedy; from two theatres hosting national quality productions through to the smaller intimate venues, Nottingham has it all. To check our best room rates or reserve a table click HERE or call us directly on 0115 988 1900.